Successful marketing for dentists is not a one-size-fits-all solution. You need the right strategy, tools, methods and marketing that will allow you to implement an overarching campaign in a way that’s better, faster, and more effective than your competitors’. Our team of experts will help you take your practice to the next level. We emphasize a team approach to your marketing campaigns and practice growth goals. Working closely with you and your team, David and his team will closely monitor marketing and practice performance to help you grow your practice faster and better. We will take you AND YOUR TEAM step by step through our systematic approach to practice management. We guide you through how to implement change, what change is necessary, what outcomes to reach for and provide you with lessons tailored to exactly the topic or area we are focusing on. 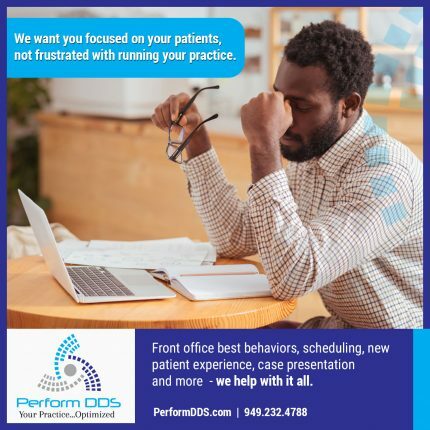 We will meet online, two times per month, 30 minutes with you the owner/dentists and 45 minutes with the entire team, we will begin the process of figuring out what is working in your practice and what could use some focus and attention. This is the Cadillac of coaching programs. Two times a month, we meet with you and your staff in your practice, to develop and work toward your goals. The meetings provide a constructive environment where the team’s contributions are welcomed, problems are discussed and overcome, and achievements are celebrated. These upbeat meetings give the team a voice and are the start to changing behavior. Each member of the team will be held accountable for specific areas of the practice and come to understand how their performance impacts the practice as a whole. NO MATTER WHAT PLAN YOU CHOOSE - YOU GET THE PERFORMANCE MONITOR! 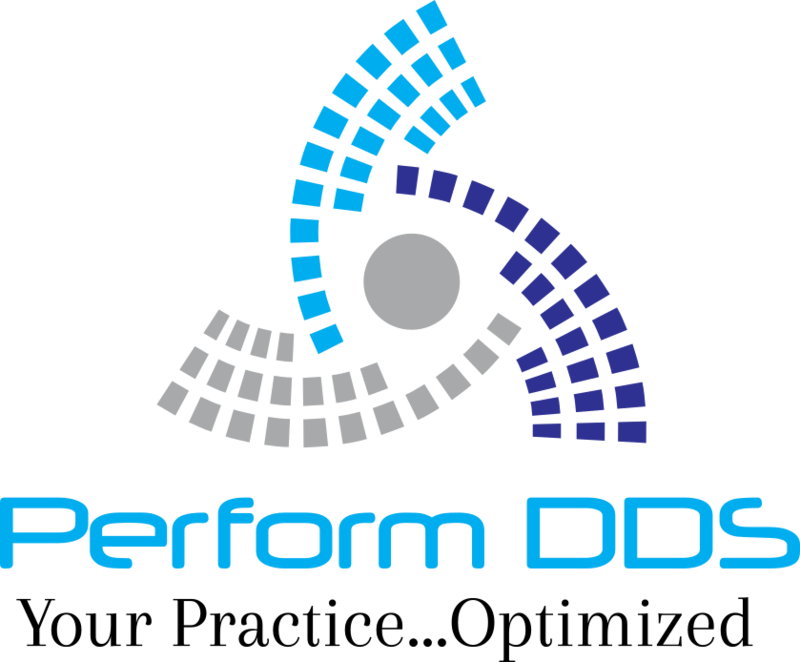 For 15 years Perform DDS, previously Alliance Consulting Group, has been making the dreams of its clients become a reality. Perform offers the personal touch that many “consultants” promise but cannot deliver. Fill in the details below and we will reach out and let you know how we can help your practice thrive.